Flour Sifters crank sifter San Diego. This page contains some very nice Flour sifters, small, large medium, jumbo, battery etc.. Stainless Steel. 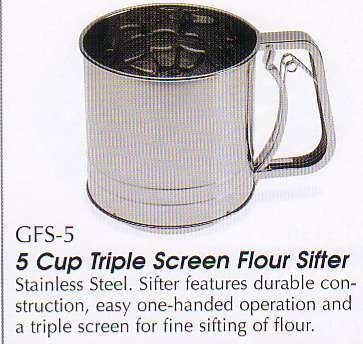 Sifter features durable construction, easy one-handed operation and triple-screen for fine sifting of flour. Great for jelly rolls, log cakes, cookies and other baked goods. 7"x10" 3.5 oz cup size Stainless Steel. 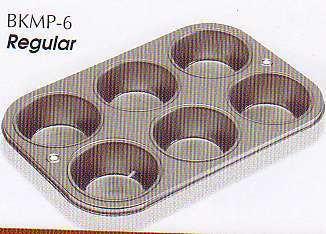 Six muffin capacity for cupcakes or tarts. 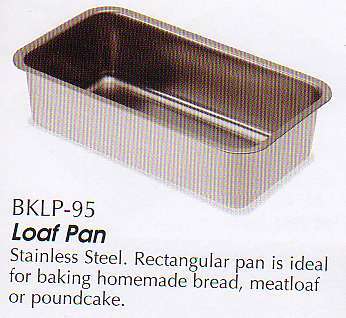 Loaf Pan 9.5"X5"X2.5" Stainless Steel. Rectangular pan is ideal for baking homemade bread, meatloaf or poundcake. 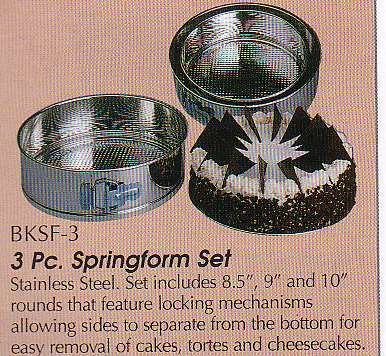 Tin and stainless Set includes 8.5" 9" and 10" rounds that feature locking mechanisms allowing sides to separate from the bottom for easy removal of cakes, tortes and cheesecakes. In business since 1984 family owned and operated! Proud to offer our Flour sifters.